Sometimes it is desirable to have a third selvedge on your woven piece. I like to start projects like key fobs with a third selvedge so I have a smooth finished edge to thread through the key ring rather than a fringe or raw edge that has to be sewn. 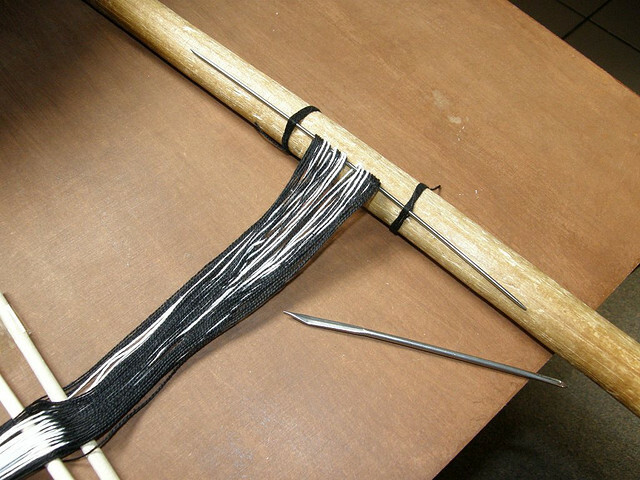 I do this by threading a thin steel knitting pin through the end loops of my warp and lashing that to my loom bar. If the yarn is heavier I use a length of piano wire or even a bicycle spoke works well. You could use a length of coat hanger wire for heavy yarn. Some of the options can be seen below. Regular knitting needles are not strong enough for this. Above you can see the warp with the knitting pin in place. I have tied two “straps” to the loom bar and will slide the two ends of the pin under those. 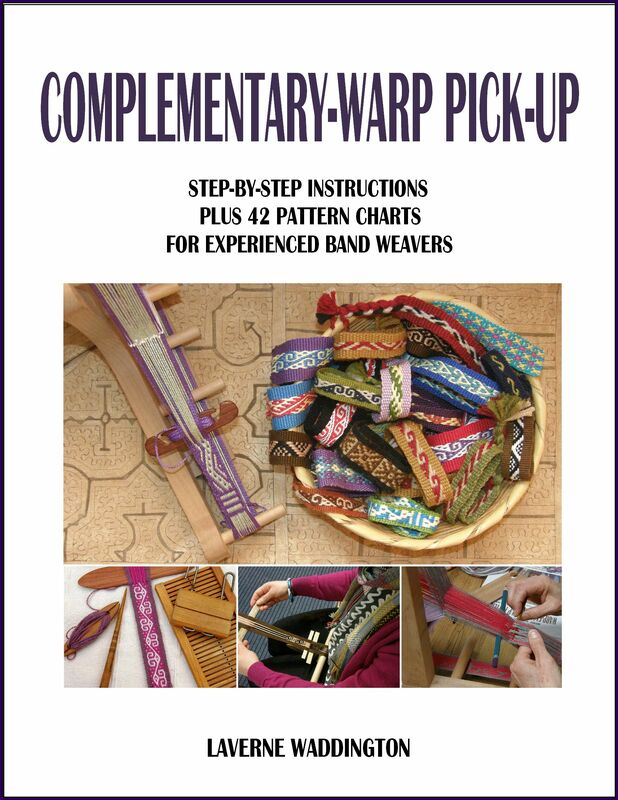 For wide warps you may have to later tie additional straps at various points across the width of the warp. 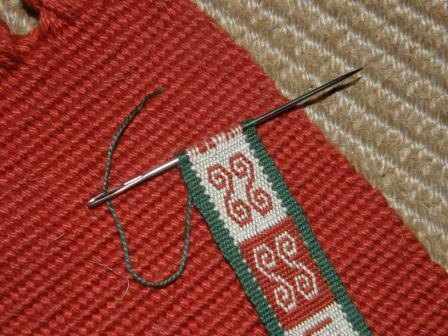 The pin is now lashed to the loom bar and you are ready to start weaving. 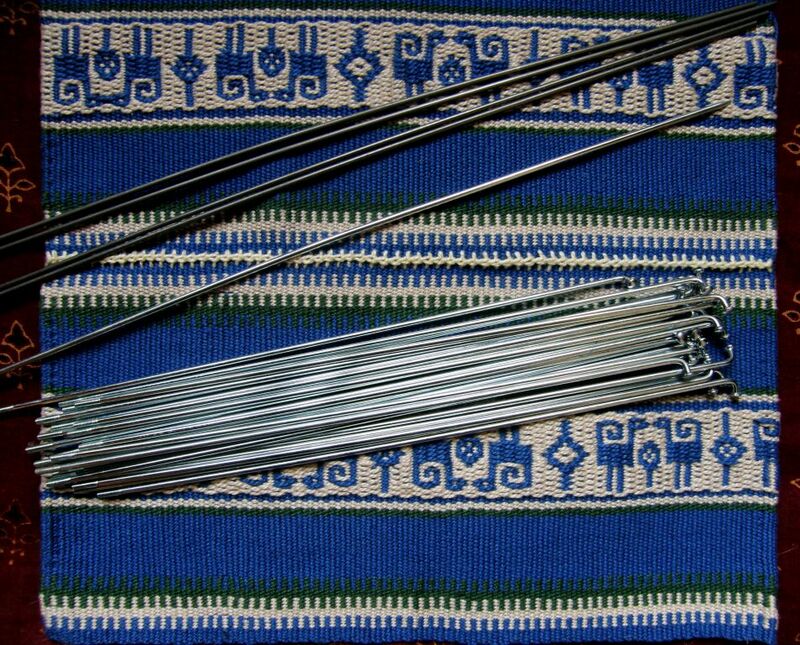 When you are done weaving, withdraw the knitting pin and pass the weft on a sewing or tapestry needle to fill the gap left behind. This gives a neat edge for keyfobs, bookmarks, wall hangings and other items where fringe or braids are not needed at both ends of the piece. 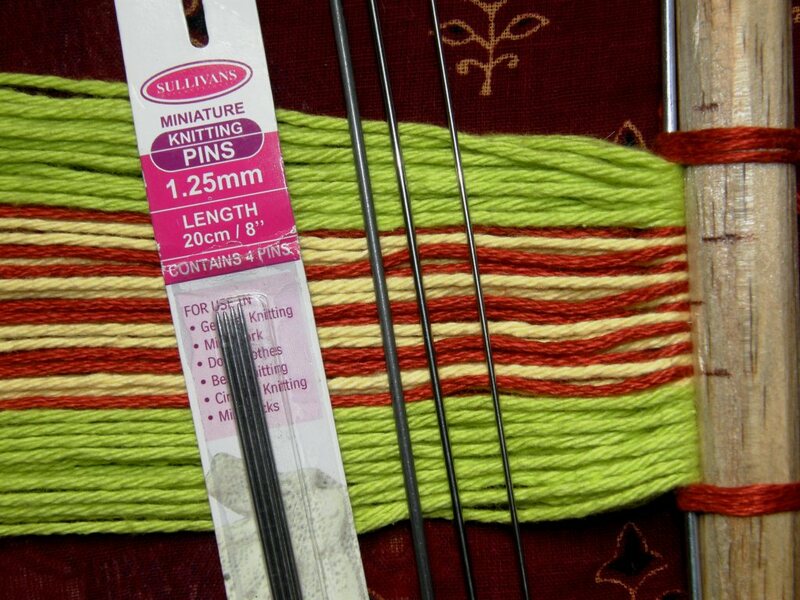 TIP: Tie the string or thick cotton around as tightly as possible to your loom bars first. Then slide your metal rod under these ties. the cotton should be so tight on the loom bar that it is almost impossible to slide the rod under. 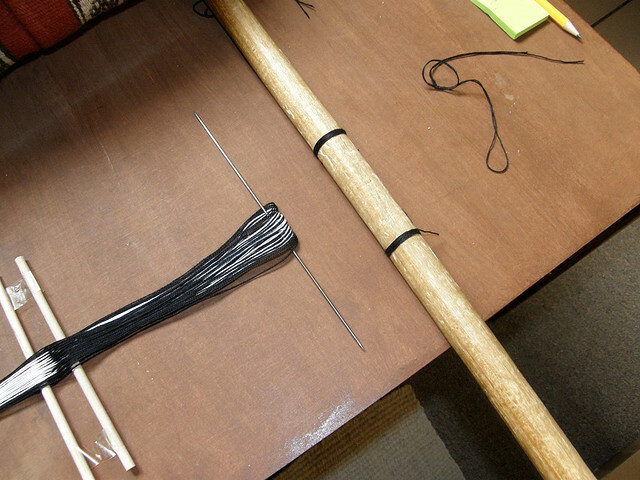 Use a curved needle to lift the cotton ties and work the metal rod into place. Then slide the cotton ties so that they are right next to the edges of your warp. This will help stop the rod from bending as you put tension on the warp. On wider pieces add extra ties in the center of the warp and at various other points across its width. Here is video showing how I set up for a third selvedge for a keyfob that I am warping. Thank you very much for all your lessons !! I now learn a bit about back strap waving with help of you !! 1 – When I wave today, I only can show the vertical strings and, I would like to show the others too. How to do it? 2 – And, I would like to put some very simple designs on my fabrics. What is the trick for this? ! By the way, can we be friend? 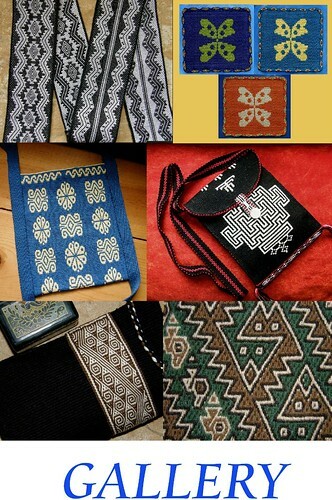 I am from Antalya- Turkey and I love all hand crafts !! So you are weaving now. That is great. 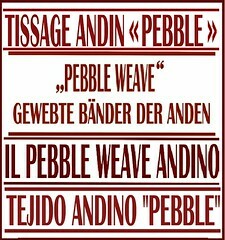 I hope you will tell me something about weaving in Turkey one day. You can make nice simple designs by simply adding stripes to your warp to start with. 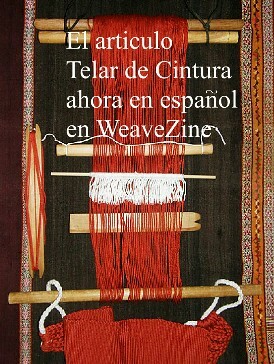 You can also change the color of your weft (the horizontal strings. Take it slowly and get used to what you are doing first. 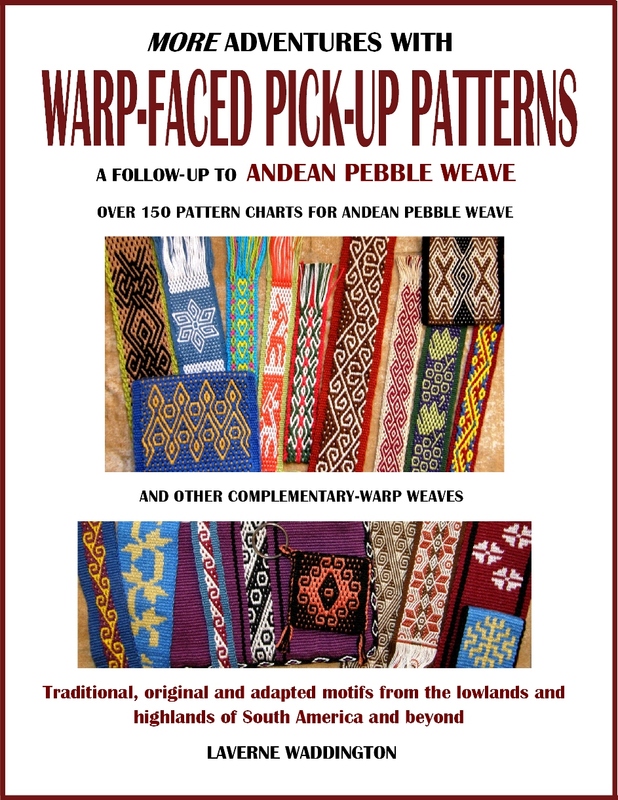 You will find lots of tutorials on my blog showing you how to make more complex patterns when you weave only seeing the vertical strings (this is called warp-faced weaving). Just went to La Cancha in Cochabamba and for 11Bs got a few skeins of yarn and a broom handle. I have about 10 inches woven on 15 warps. This was so much fun! Now though, I don’t know how to take it off our finish the end. I would rather not have fringe. I started as above, but how do I finish the other end? Looking forward to meeting you this winter in Santa Cruz! Maybe August. Hello! Thanks for the tutorials. I have the same question as above by Kim. I have been rattling over it my mind how to finish the other end without fringe. Would I do the same as starting the weave and insert a needle? Then flip the piece and start weaving from the other end, finishing in the middle? What you describe is correct but it is really quite a tedious thing to do. As you can imagine, the space in which you are weaving in the middle will get smaller and smaller until in the end you will have to remove the heddles and sticks andneedle weave the last few weft shots, that is, go over and under the warp ends with your weft on a needle to pick up the shed by hand. Thanks for the reply. 🙂 So I am guessing instead of “needle weaving” to close the piece go on ahead and snip the warp on the end. Then sew to create a hem? I am Native American from the Hopi tribe in Arizona. I weave garments that are used in our ceremonies and use the up right stationary loom. I was taught to needle weave to close the garment and it is quite tedious. I am liking the backstrap method as the work is right up close to you. I always wanted to travel to Latin America to learn supplementary methods from indigenous weavers . 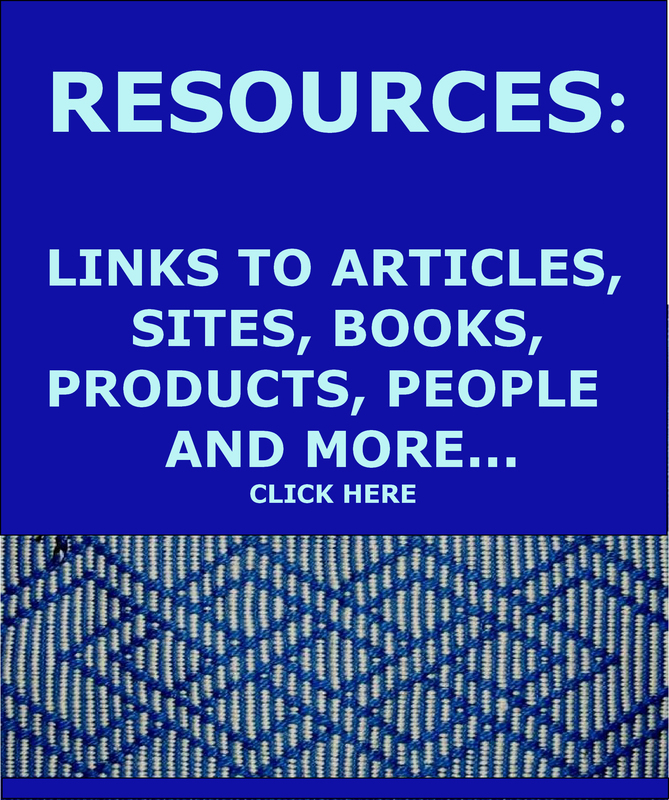 I am glad to have found your website via youtube tutorials. Ah, so you already know the “fun” of needle weaving that last inch!, if you don’t want fringe, that is what you need to do. But, as you say, you can also hem the cut end. Do you work with cotton or wool? I am pleased my blog has been helpful for you. Having the warp connected to your body is one of the lovely things about backstrap weaving. I imagine you create beautiful cloth for garments on your upright loom. Had a bad disaster with trying to lash the warp to the loom. Instead of doing it right away, I attempted to do it after creating a new cross for double weave, and after making the heddles. When I tried to transfer the warp ends to the wire, many of them were not looped around and I tried in vain to put them back. It just got too confusing as I could not tell where they should go. I ended up scrapping the whole thing, which was a real drag. I re-visited your tutorial and will lash it immediately after warping instead of waiting. Too bad because it was a really beautiful design.